Product prices and availability are accurate as of 2019-04-20 16:25:57 BST and are subject to change. Any price and availability information displayed on http://www.amazon.co.uk/ at the time of purchase will apply to the purchase of this product. Snazaroo, your one stop face and body painting shop for all your special occasions. Whether it's a birthday party, a play date, Halloween or Christmas, no matter what the occasion Snazaroo will entertain you and your children with paints made from the finest ingredients. Snazaroo face and body paints are fully compliant with the EU and FDA toy and cosmetics regulations, and are specially formulated to be fragrance free and friendly to the most delicate skin. They are all water-based, making them even easier and quicker to remove, simply wash off with warm soapy water or use gentle face wipes. 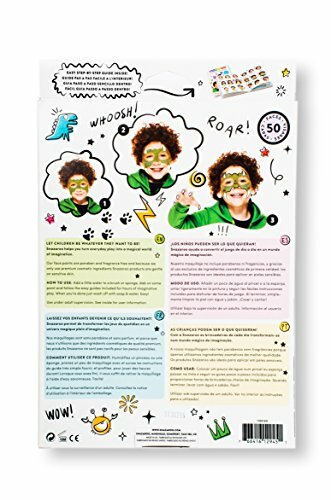 To use Snazaroo Face Painting Studio-Set, follow the instructions in the 3-Step guide for quick and easy results to wonderful designs. 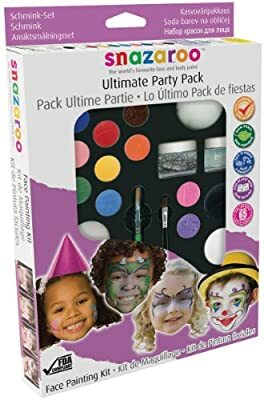 This set contains 1 x 2ml of Classic White, 8 x 1ml of Bright Red, Bright Yellow, Sky Blue, Lime Green, Black, Orange, Bright Pink, Light Brown, 2 sponges, 1 brush and 1 face painting step-by-step guide.This Snazaroo Party Pack Face Painting Kit contains enough paints for up to 60 full faces. Snazaroo Face Paints are specially formulated to be friendly to the most delicate skin and are fragrance free. Snazaroo Face Paints are manufactured using only ingredients fully compliant with EU and FDA Toy and Cosmetic regulations, and are non-toxic. 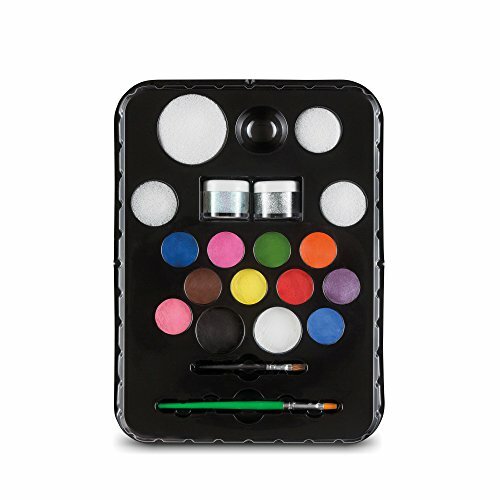 These Face Paints are water-based so they're as easy to get off as they are to put on, washing off with soap and water.